Hello Doodlebug fans - it's Tya and it's my turn to showcase the adorable Swiss Dot pattern papers. These papers are some of my absolute favorites and I have loved all the different ways my Design Team friends have used the papers. 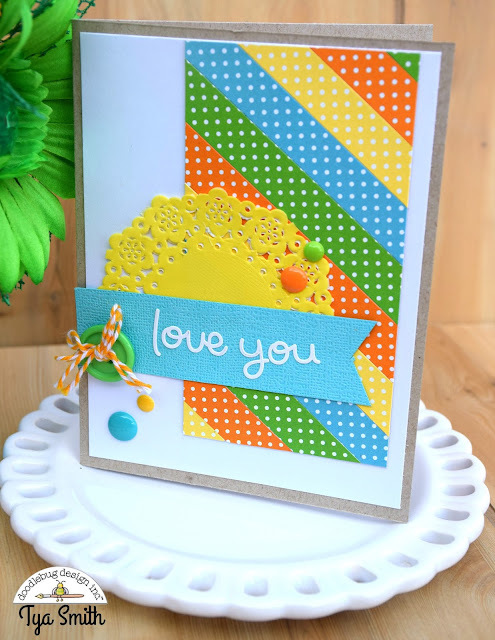 I decided to do up a simple card set in some of my favorite colors to show you just how perfect the swiss dot papers are for a basic staple to keep in your scrapbook stash. As you can see in the card below - the papers are a solid color and a white dot on one side, and then white with a colored dot on the other side. So versatile and fun! That's all there is to them! Sometimes simple really is best, and I love that the adorable Doodlebug products were able to take center stage on these cards. 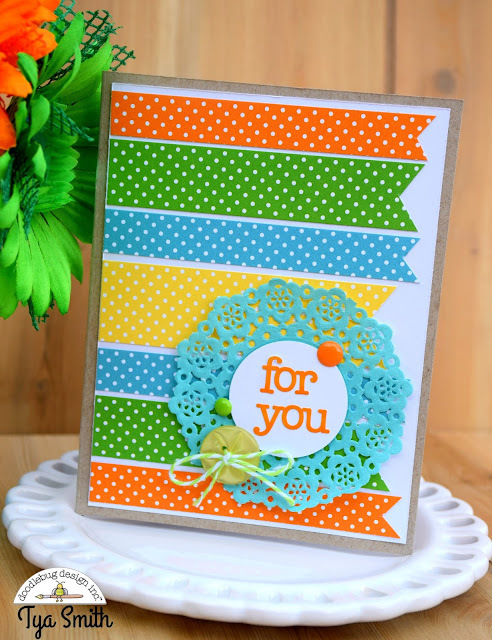 Hopefully I have inspired you to whip up a batch of your own and use your favorite colors! Happy Crafting!! Great color combinations! Love these Tya! Sweet set of cards you made..thanks for showing them..
Great cards Tya! Love the color combination!